The ones whose pictures float across the internet of them covered in diaper cream while standing in a gallon of spilled milk. Or THAT kid who flush wallets, watches, and other valuables down the toilet...Or worse yet, swallows them. Or how about that kids who screams like a baby piglet when they don't get their way in the store...seriously? Whose child is that? Before I had kids, I remember thinking to my self, "How on earth did that child end up in THAT situation?! Wasn't anyone watching the kid?" (For example; diaper cream switch.) Or, "Seriously, those parents are the WORST parents ever to have that screaming kid! If that was my child..."
And then one day, I birthed THAT child. The child who whenever they see a glass full of liquid HAS to dump it all over my open and perfectly working computer...And then play with it. AND THEN, when you take that computer to the store to get fixed, said child throws a major tantrum on the floor because she wanted G-U-FLIPPEN-M. I love that child's bubbly, bright, and silly personality. That sneaky smile and the way she closes her eyes, bows her head, and folds those chubby arms when she says her prayers. Please continue to be THAT child. And I promise I'll continue to be one of THOSE parents. Now...For some much needed cookie dough balls ya? These don't last long in our household! They are perfect for a quick pick me up, since they are full of protein! They also work great for treats in kids school lunches! Either way you eat, enjoy! 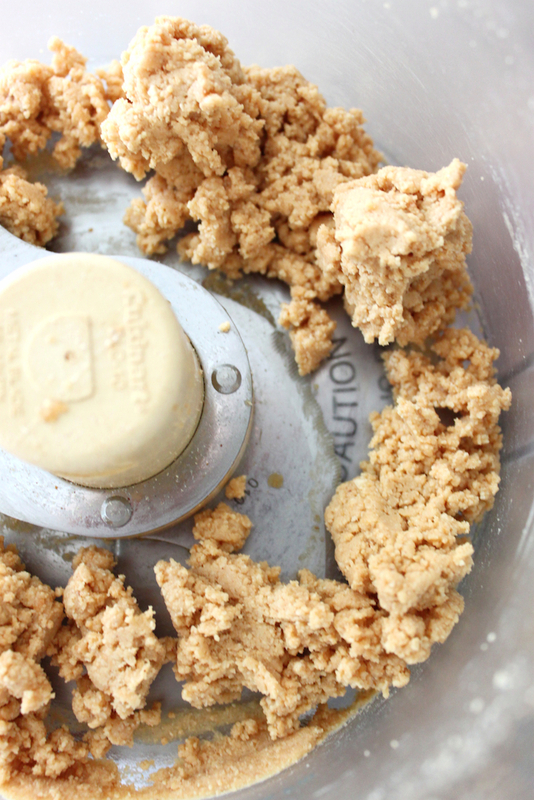 In a food processor or blender, add peanuts and blend until a fine flour comes together to form a dough. (Don't process after that or you will get peanut butter!!) 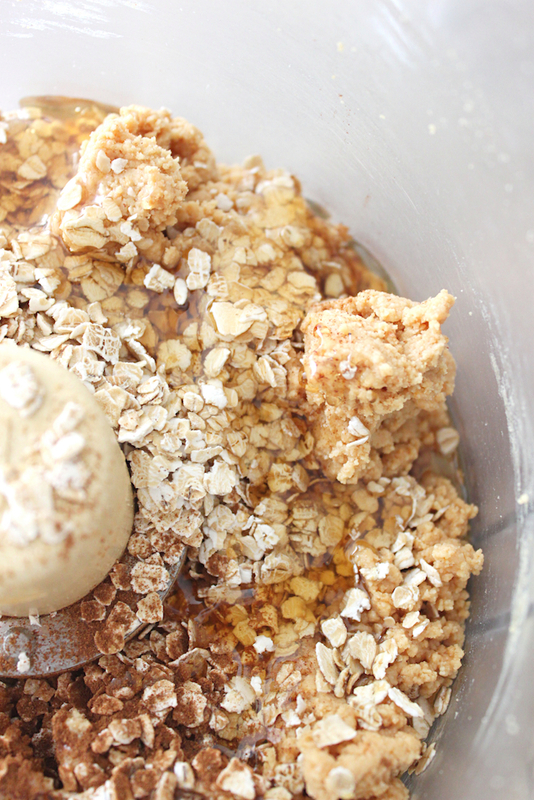 Note: Don't process all ingredients together because the mixture won't turn out. 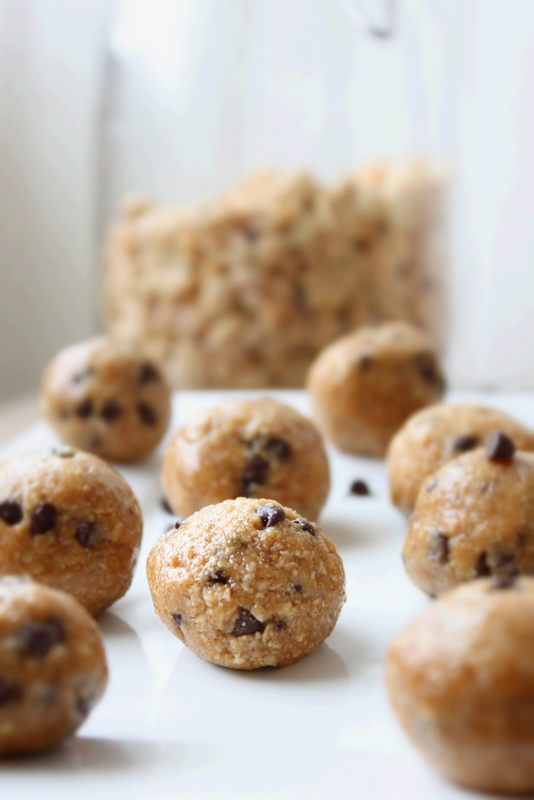 You will get a cookie crumble, which is totally fine, but it won't form into balls! Using a small cookie scoop, make balls and keep in the fridge or freezer! THAT child loves these PB cookie dough balls.